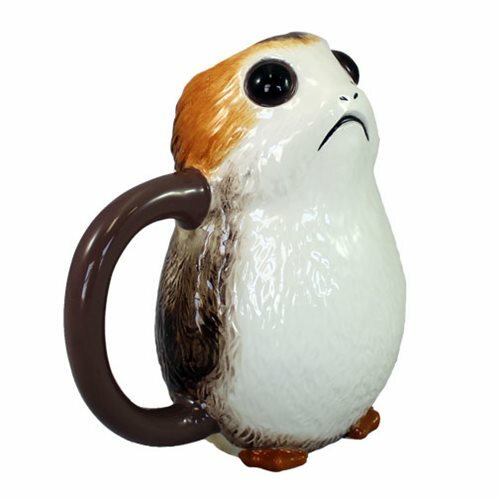 This Star Wars: The Last Jedi Porg Ceramic Sculpted Mug is custom sculpted and beautifully crafted, bringing to life a unique addition to your collection! Packaged in a full color gift box, Porg measures approximately 4-inches long x 5 1/2-inches wide x 5 1/2-inches tall. Holds up to 20 fluid ounces. Microwave safe, hand wash recommended. Ages 13 and up.